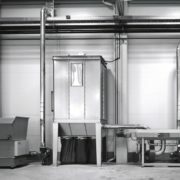 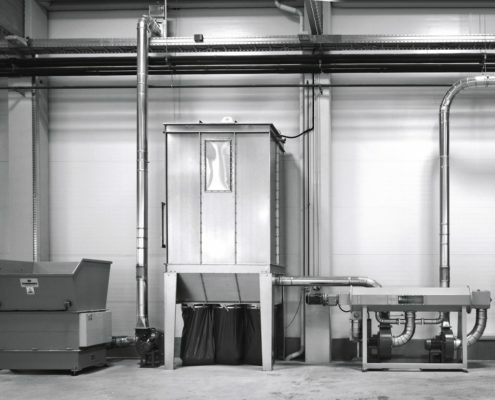 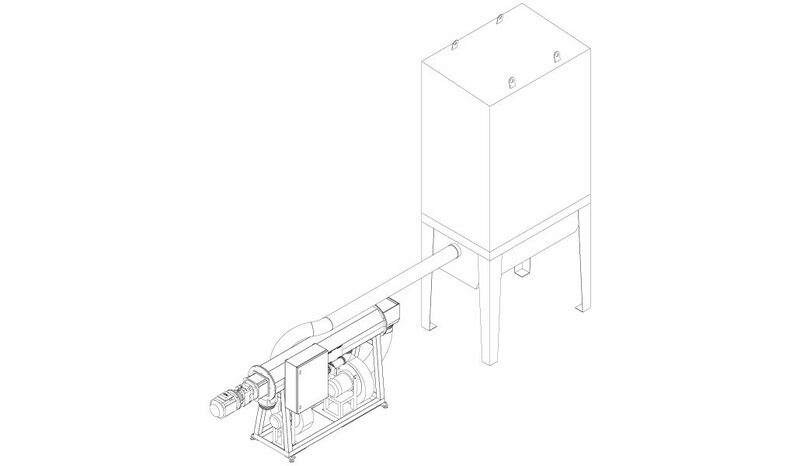 These machines allow to separate granulated material from dust after being processed by granulators. 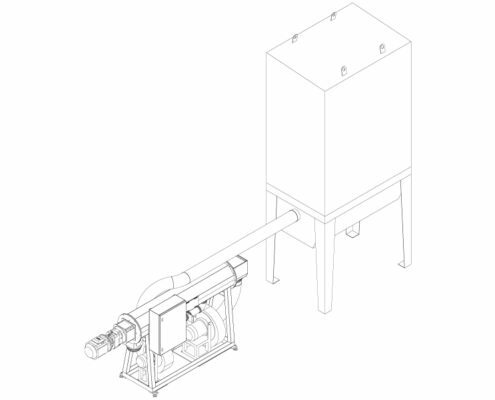 Granulated material is conveyed by a motorized bristle screw feeder through a suction filter cylinder which separates it from dust. 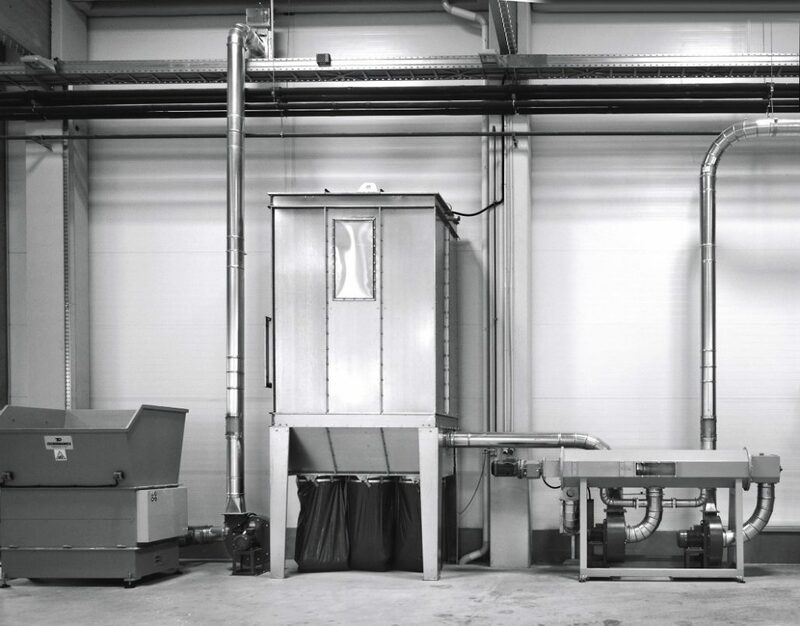 Dedusted beads are then poured again into a silo by means of a fan, while the dust is retrieved by a sleeve filter.